A newborn lamb depends heavily on access to colostrum for survival. Lambs who receive insufficient colostrum are highly susceptible to disease and infection as their body is unable to fight off the pathogens. 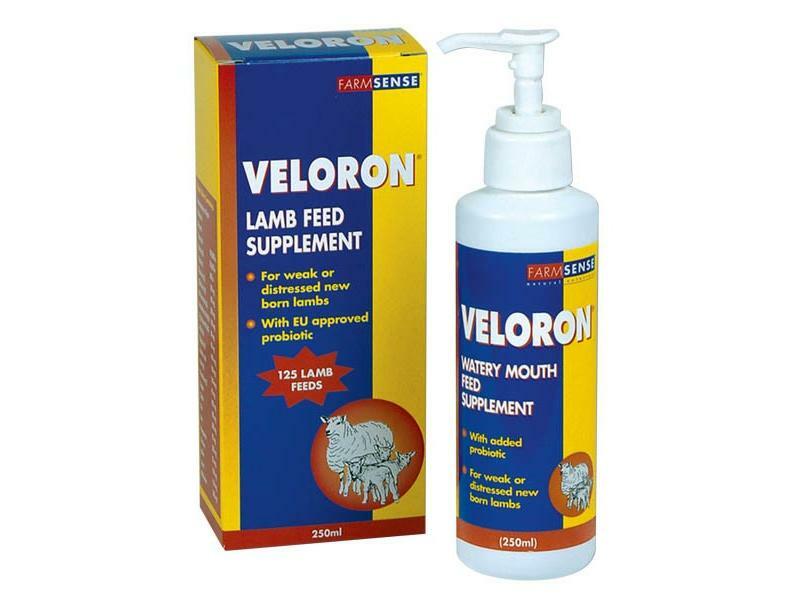 Veloron is rich in energy, which makes it ideal for use as a booster in lambs that received insufficient colostrum. These newborn lambs can go on to ingest environmental bacteria, which then go on to cause infection. Without adequate energy the newborn lambs can succumb to these infections. Veloron also contains the probiotic Enterococcus Faecium. This species of ‘good bacteria’ populates the naïve lamb gut and reduces the ability of pathogenic bacteria to establish. A liquid booster feed for lambs from birth. 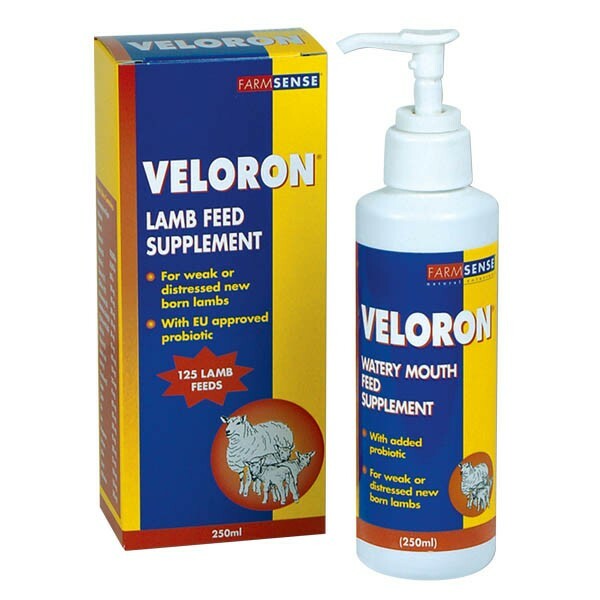 VELORON® is particularly suitable for those lambs which are weak, distressed, underfed, cold and wet, in any way below par or exposed to lambing pen infections. Store in a dry place, between 15-20°C. 250ml polypropylene bottles with separate pump dispenser packed in individual cardboard boxes. Protein 0.76% Oil 22.4% Ash 2.12% Fibre 1.8% Enterococcus Faecium M74, 600 X 109 c.f.u/litre. Administration SHAKE WELL BEFORE EACH USE. Administer 2ml (1 pump) per lamb per day directly down the throat or in milk replacer. There are currently no questions for FarmSense Veloron Supplement - be the first to ask one!